The decision by the U.S. Department of the Interior was applauded by environmental groups for protecting the Colorado River watershed and criticized by industry organizations for hurting jobs and energy security. On Monday, the U.S. Department of the Interior banned any new uranium and other hardrock mining claims around the Grand Canyon, citing the potential health and environmental risks related to water contamination, Reuters reported. The decision withdraws more than 400,000 hectares (1 million acres) of federal land — as well as the nearby watershed — for the next 20 years, the longest moratorium allowed by law, according to the official statement. Previously approved mining claims and existing mining operations would not be affected. The National Mining Association has expressed disappointment but stopped short of announcing an immediate challenge to the decision. While hailed by environmental and progressive groups for protecting this World Heritage site and its neighboring Colorado River watershed, the Obama administration’s decision has been denounced by industry groups and some members of Congress from Western states as a big-government move that would hurt consumers and kill new jobs, according to Reuters. 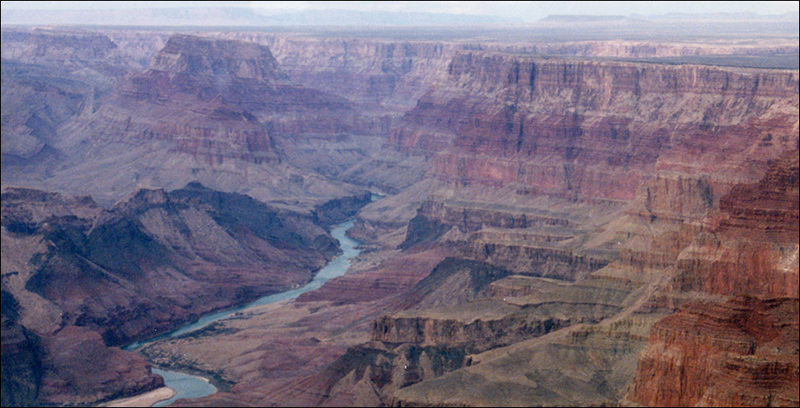 But Gene Karpinski, president of the League of Conservation Voters, said that protecting the $US 687 million tourism industry that is dependent upon the canyon makes much more sense, according to the Guardian. “Extending the current moratorium on new uranium mining claims will protect tourism-related jobs, drinking water for millions downstream, and critical wildlife habitat,” Karpinski said. As the price of uranium has risen, so has the number of claims on public land near the national park, from fewer than 1,000 per year in 2005 to more than 8,000 in 2009, though annual claims have declined slightly since then, according to Reuters, which cited figures from the Bureau of Land Management (BLM). During the withdrawal period, the BLM projects that up to 11 uranium mines, including four that are currently approved, could continue, based on valid pre-existing rights. By comparison, during the 1980s, nine uranium mines were developed on these lands and five were mined out. Without the ban, there could be 30 uranium mines in the area over the next 20 years, including the four that are currently approved, with as many as six operating at one time, the Environmental Impact Statement (EIS) estimates, according to the Interior Department’s statement. At least one creek in the national park is known to be contaminated by uranium, and the government’s environmental impact review found high levels of arsenic from old uranium operations, as well as pollution in the Colorado River, the Guardian reported. The decision to ban new mining claims in the area comes after more than two years of evaluation, during which the BLM analyzed the proposed withdrawal in cooperation with the U.S. Forest Service, U.S. Geological Survey, U.S. Fish and Wildlife Service, and the National Park Service.